The Cadrona Home for the Aged is the most recent beneficiary of one of the many exceptional benefit concerts produced by Valerie Daniel, local opera/concert singer and voice specialist. 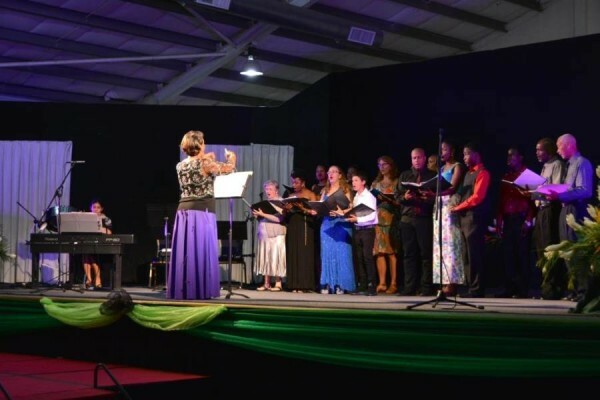 The benefit concert, principally sponsored by Netherlands Insurance, was held at the Grenada Trade Centre on 17 May. It brought together more than 30 talented performers from varying musical backgrounds including classical, opera, jazz and pop. Additionally, voice and music students of all ages were given the unique opportunity to be a part of the show, and through their active involvement in sound checks and rehearsals, gain invaluable experience from performing on the ‘big stage’. As has been a customary practice, proceeds from the concert were donated to a select charity or organisation. The Cadrona Home for the Aged was this year’s recipient. 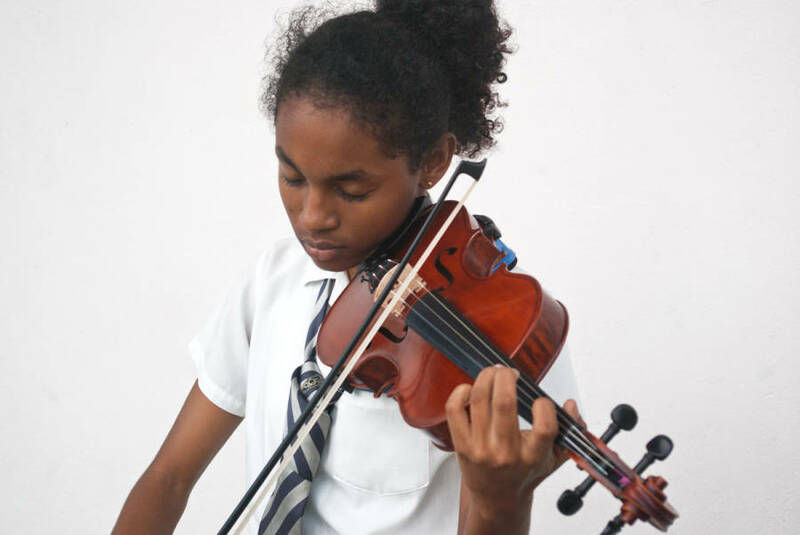 Valerie Daniel, her students and those of Island Violin Music School, visited the Home on Sunday 25 May, to perform a selection of classical numbers for this special audience. In keeping with their commitment, a cheque of EC$5000.00 was donated to the home. Netherlands Insurance has been a sponsor and stalwart supporter of this annual concert for the past 5 years. “Netherlands is pleased to a play such a significant role in the hosting of these concerts not only as a patron of the arts, but to see that through our support, a number of welfare organisations and deserving individuals are benefited as a direct result,” commented Richard Strachan, Managing Director. Valerie Daniel has produced benefit concerts in Grenada for over 12 years from which many organisations have benefitted including GRENSAVE and the Dorothy Hopkin Home for the Disabled. “With the continued support of sponsors such as Netherlands Insurance, we will continue with our work, improving the lives of many through music.” Ms Daniel concluded. It is indeed a wonderful world when we can give back to our community in a meaningful way.